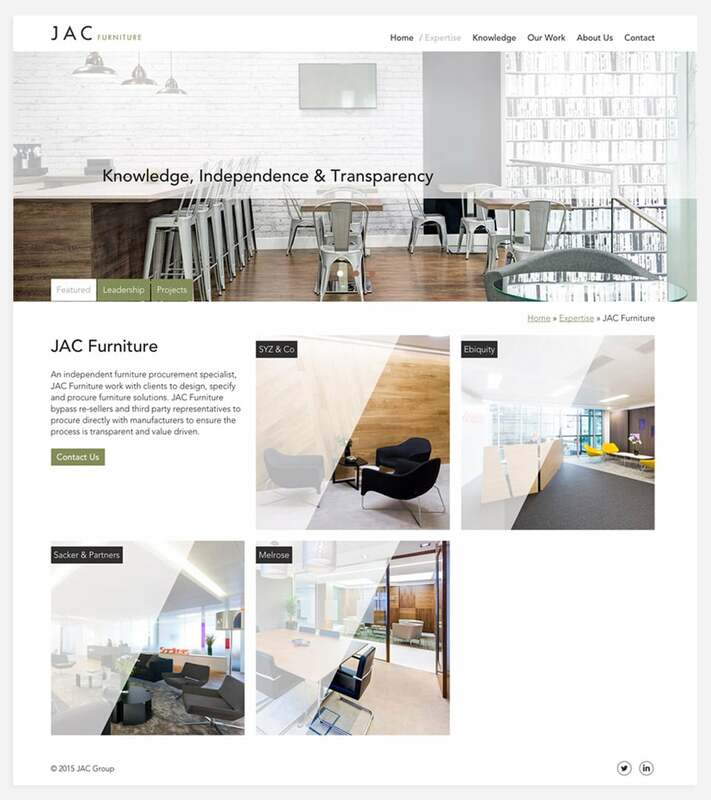 JAC Group is a project management and design company specialising in high-end office transformations. 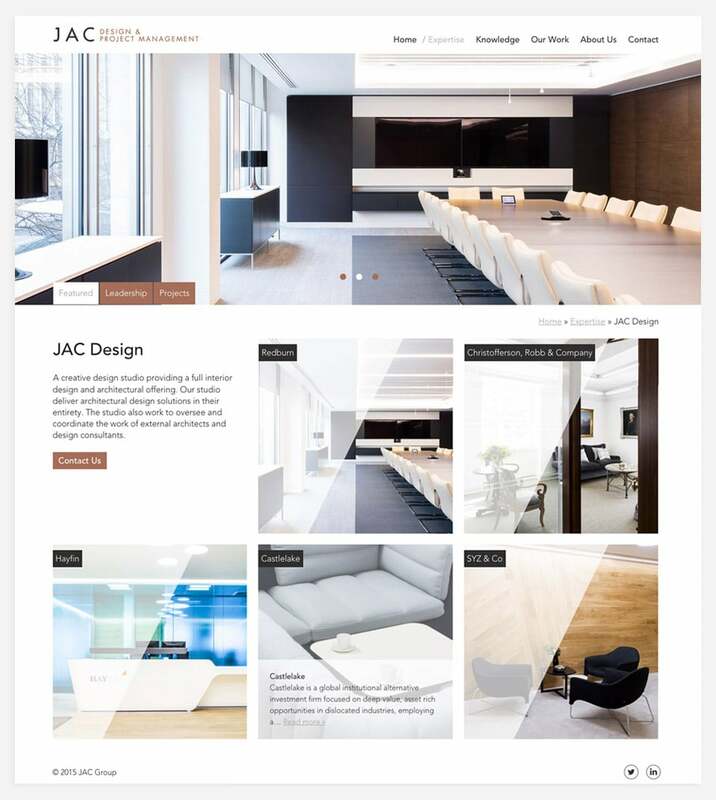 Working in collaboration with an independent branding consultant, Preface Studios was commissioned to redesign the website. 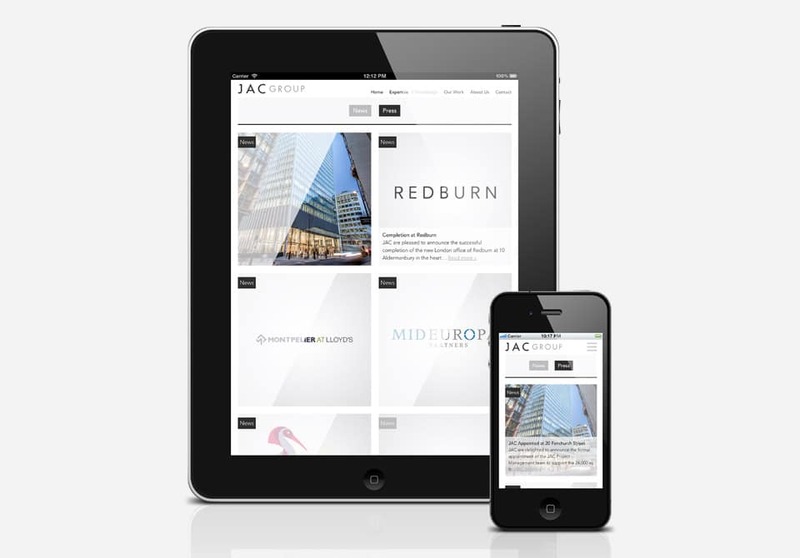 The brand was dated and content hard to manage on the existing CMS; it was slow, non-responsive and the colour palette was dark and didn’t showcase the calibre of JAC’s work. Preface Studios managed the full web design process; from concept to completion. Wireframes were developed and services split into four core areas of expertise. With many striking photographs, the image-led site had to be fast-loading. The new website is fully responsive, performing well on 3G and 4G devices and is easier to manage. To maximise the value of every visit, Lead Forensics was incorporated. 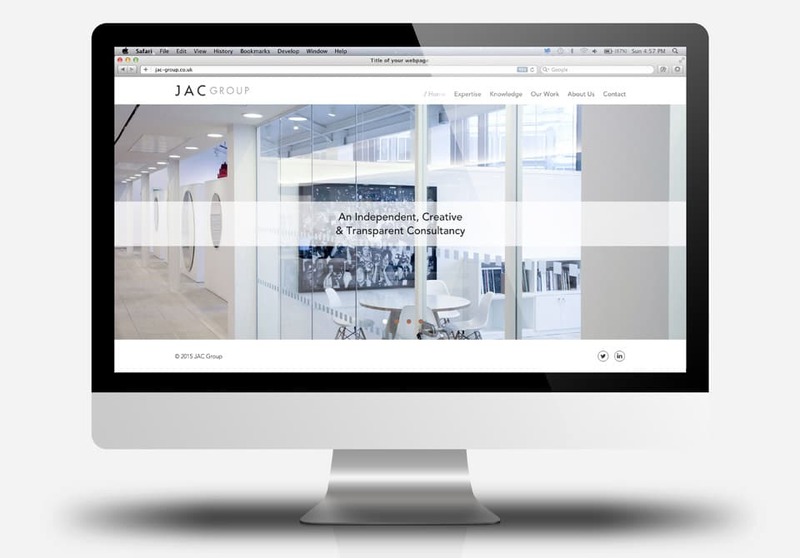 The new website has a contemporary look and feel to mirror the design and architectural elements of JAC’s work. This WordPress project took two months from design to completion. We provide ongoing support and training with day-to-day management of the site. Positive feedback has been received from industry experts and enquiries have increased. If you are interested in updating the look and feel of your website to showcase your work in a striking way, please get in touch.